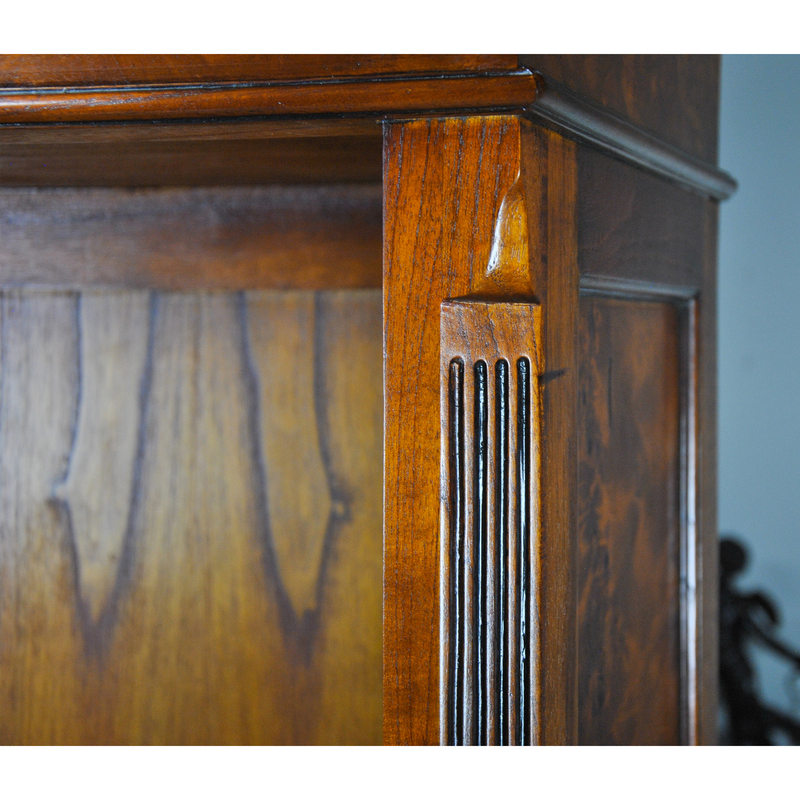 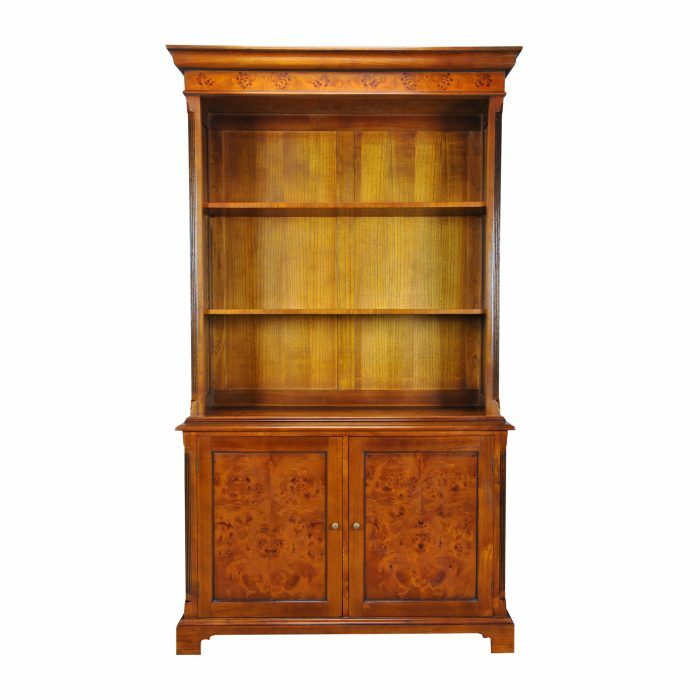 Our Country Estate Large Cupboard is manufactured in two sections, the upper section consisting of a deep, molded cornice with burled veneer following the shape of reeded corners rising from below, with lamb tongue detail. 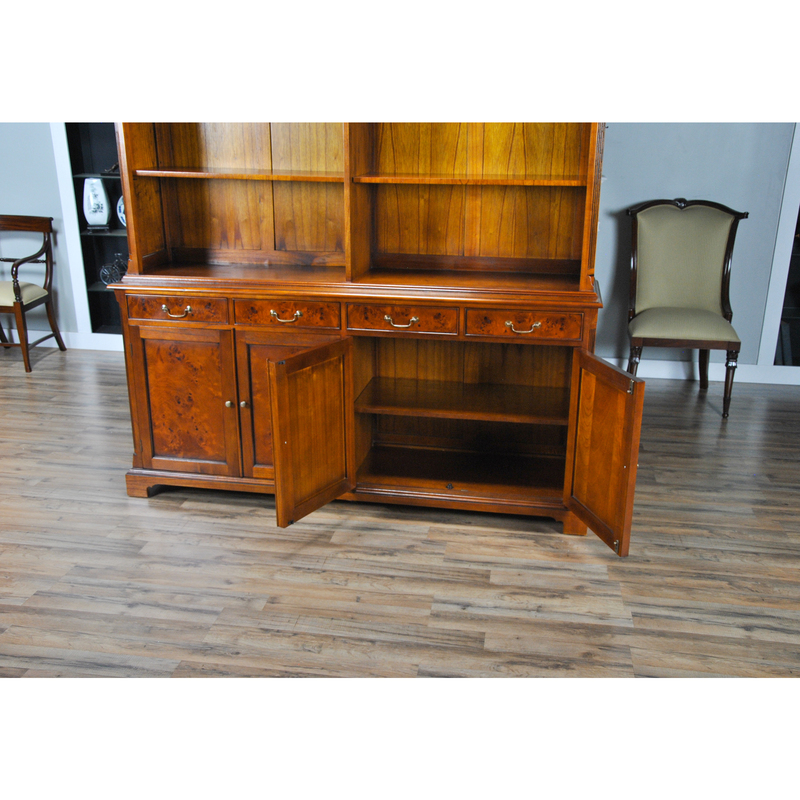 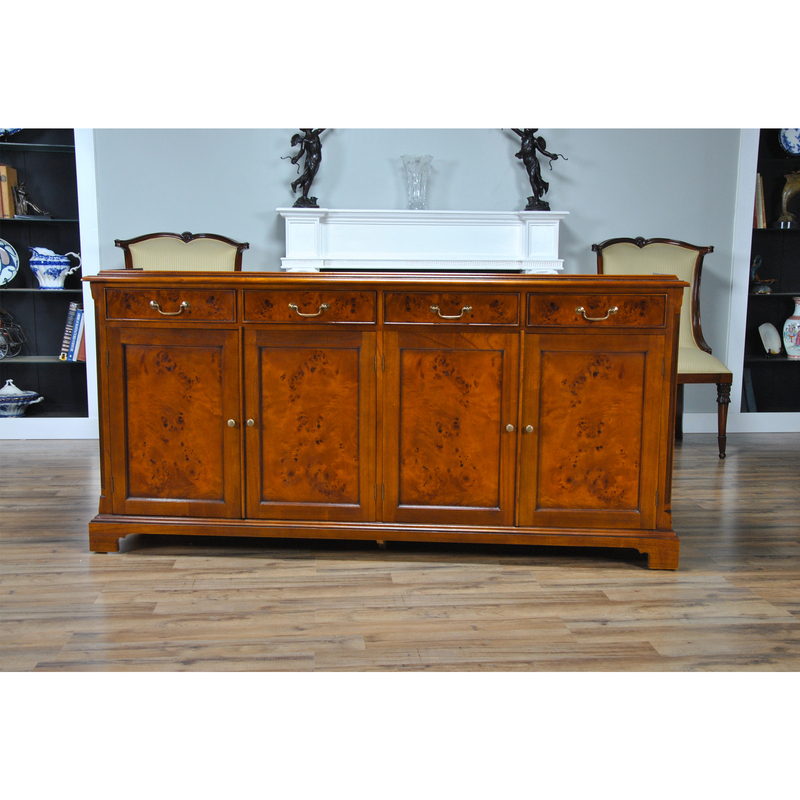 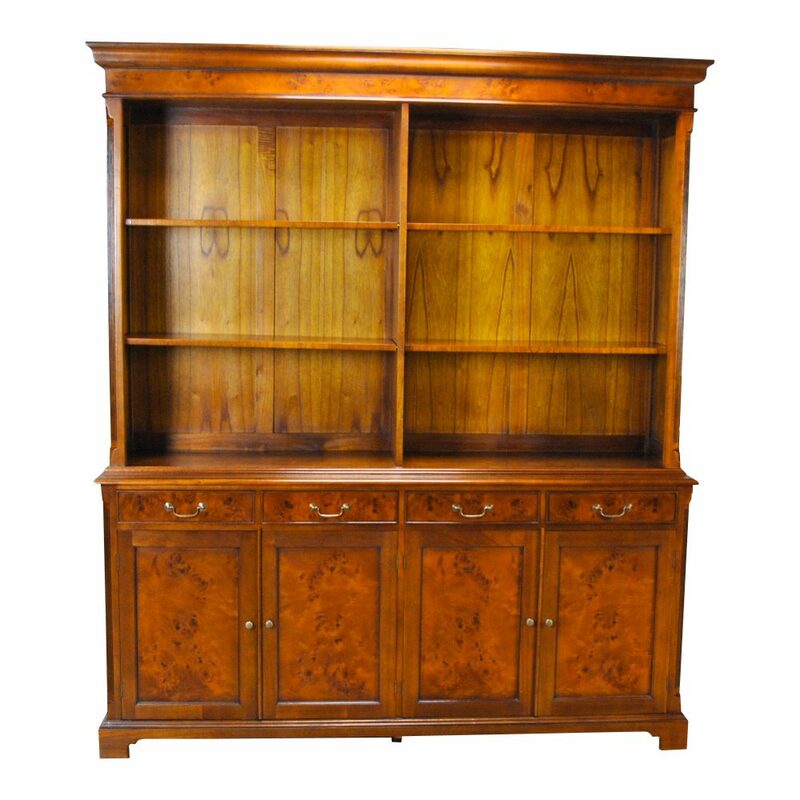 The open top section allows easy viewing and easy access of the cabinet and contents without interruption. 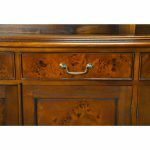 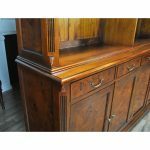 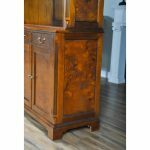 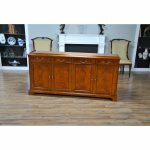 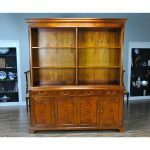 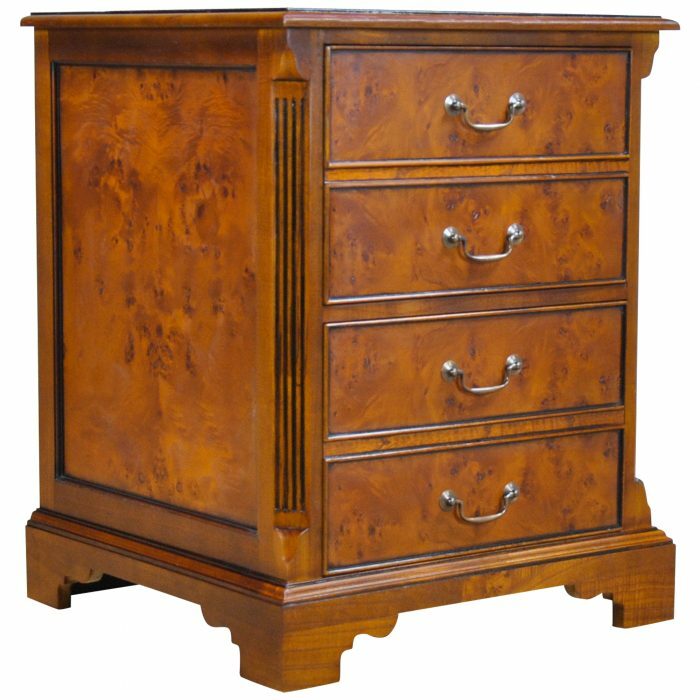 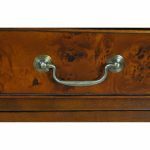 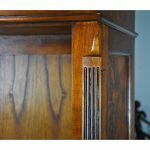 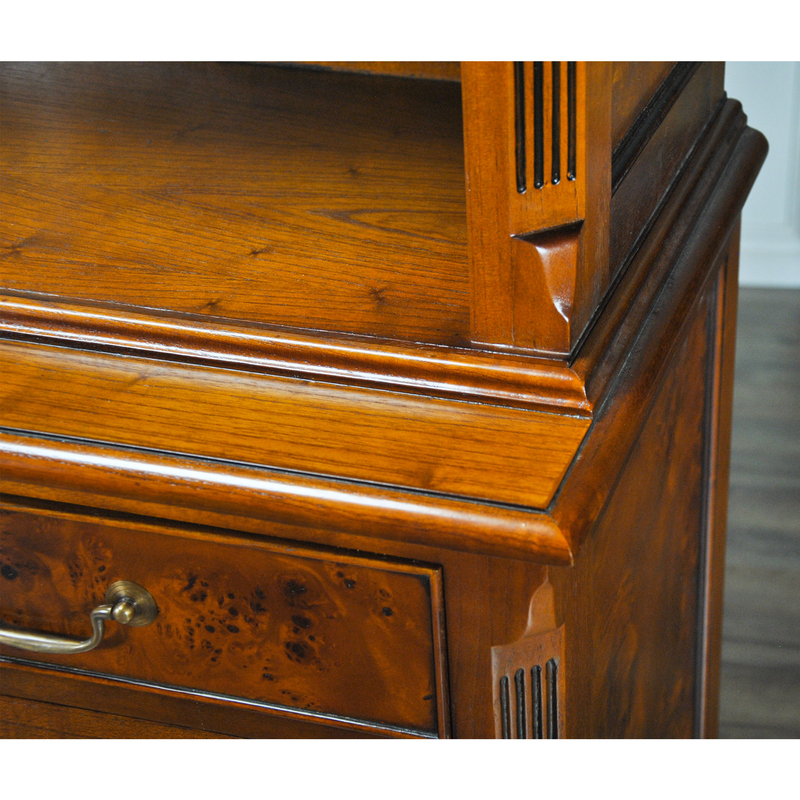 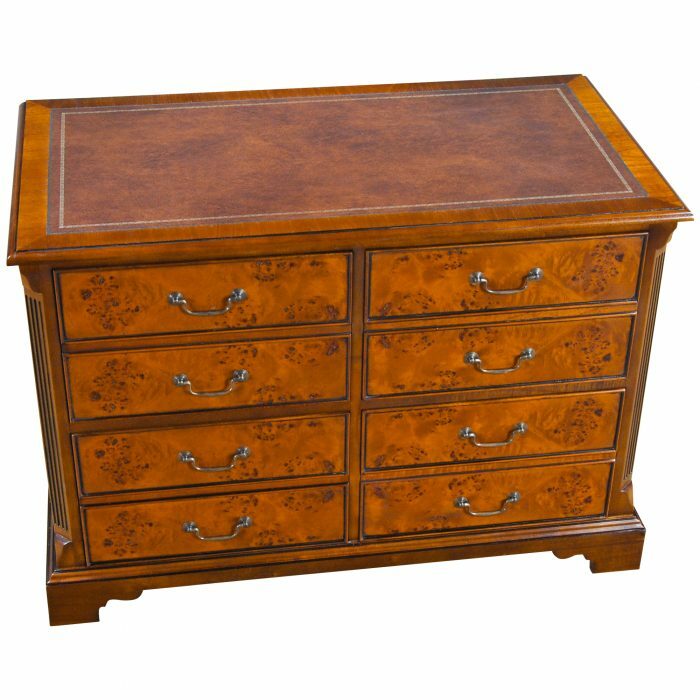 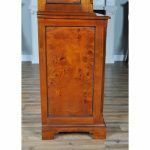 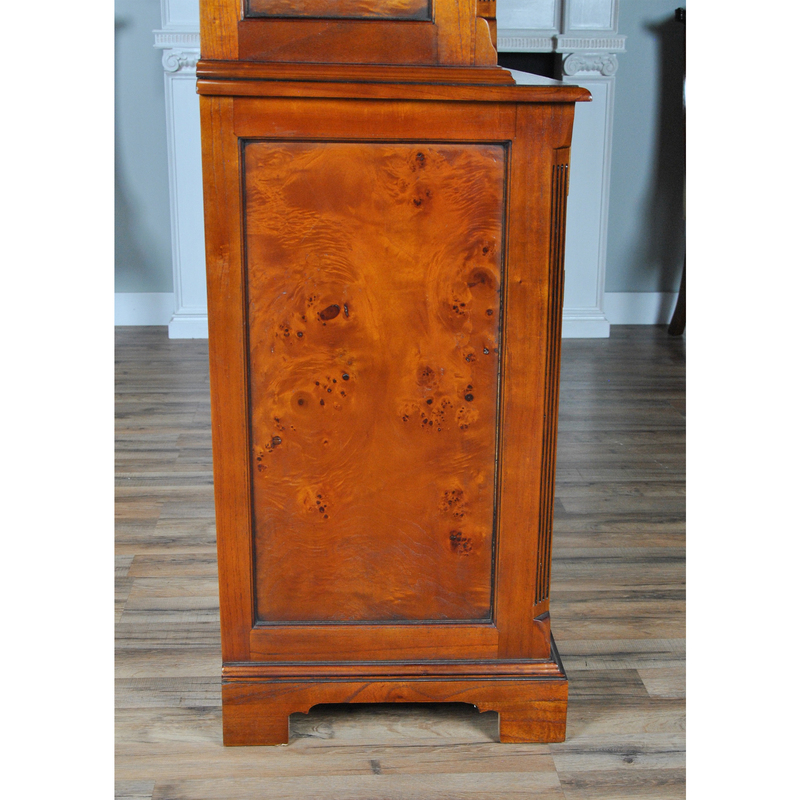 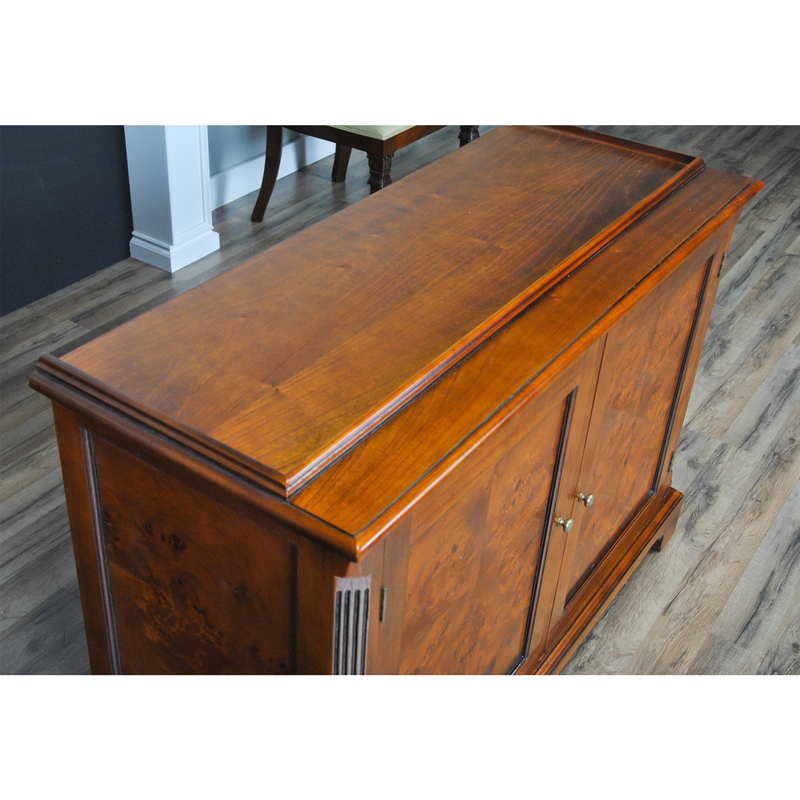 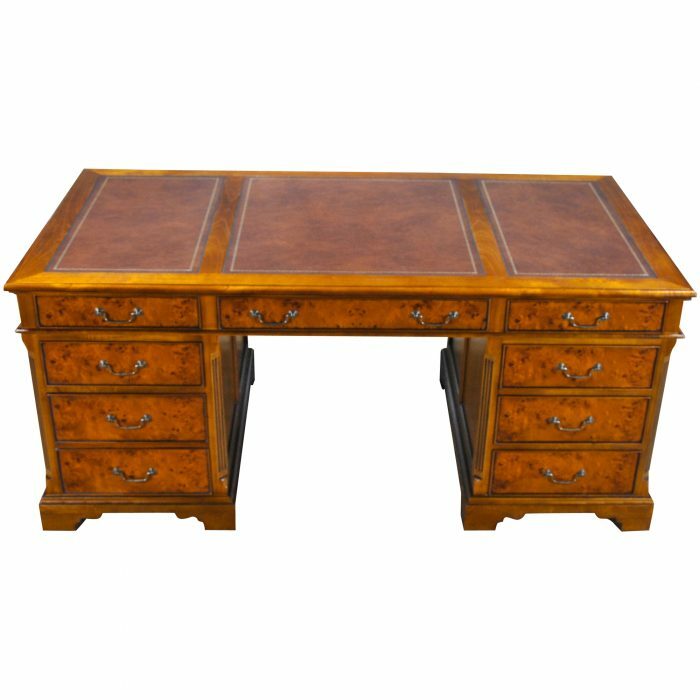 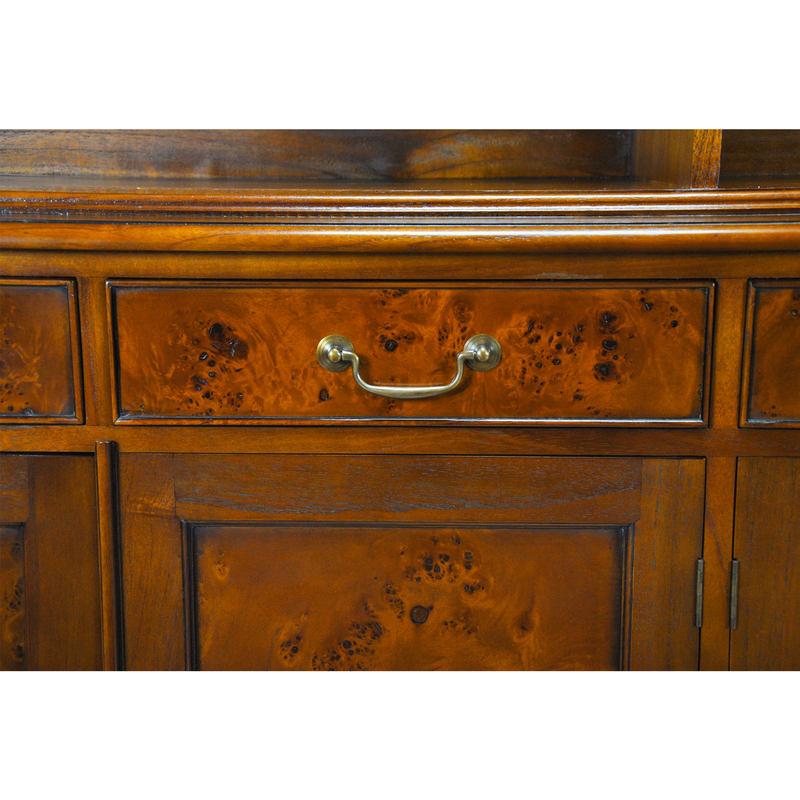 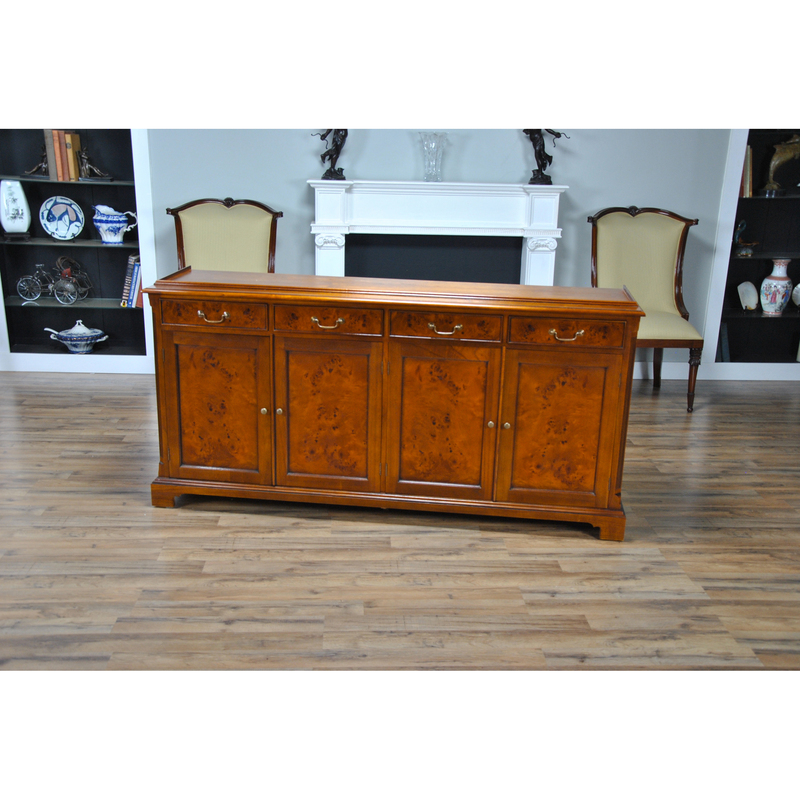 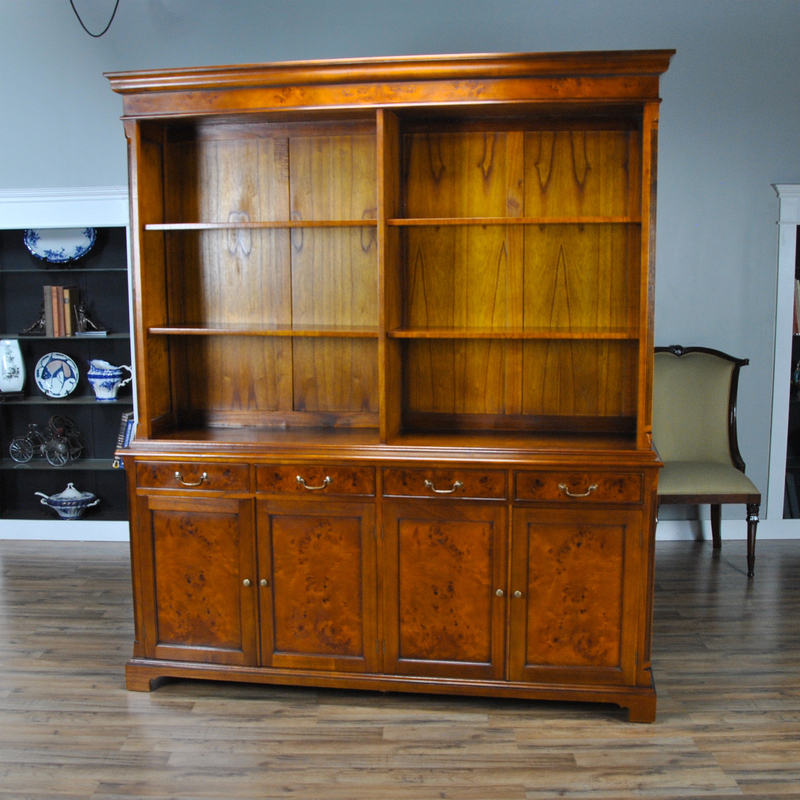 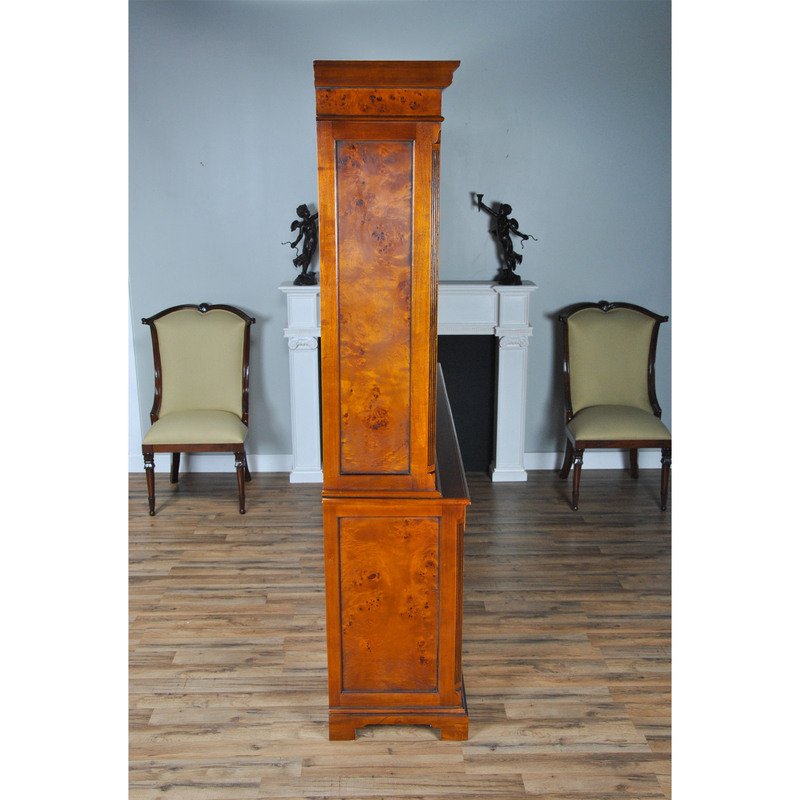 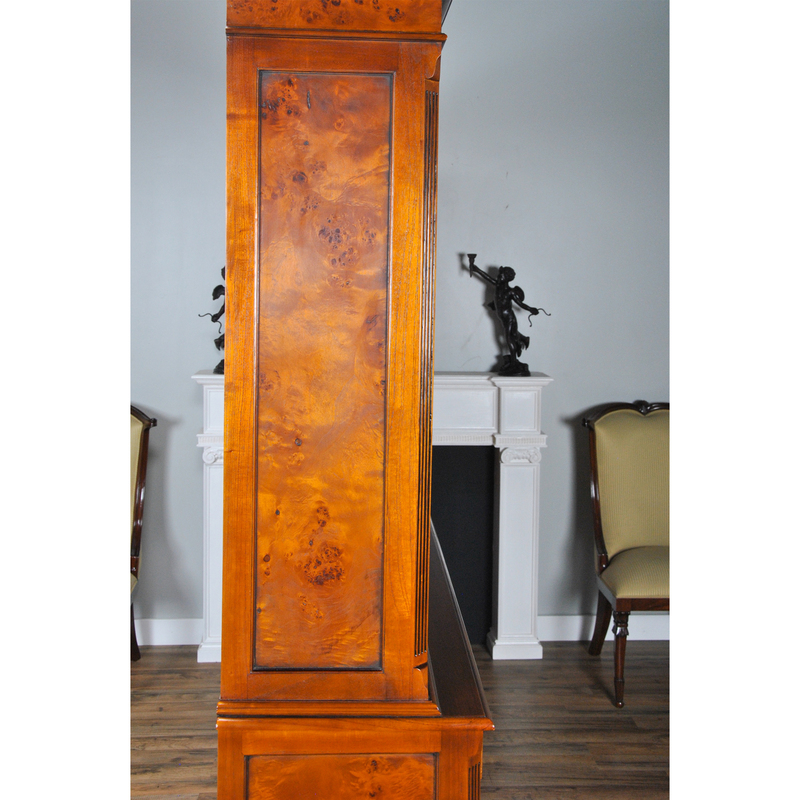 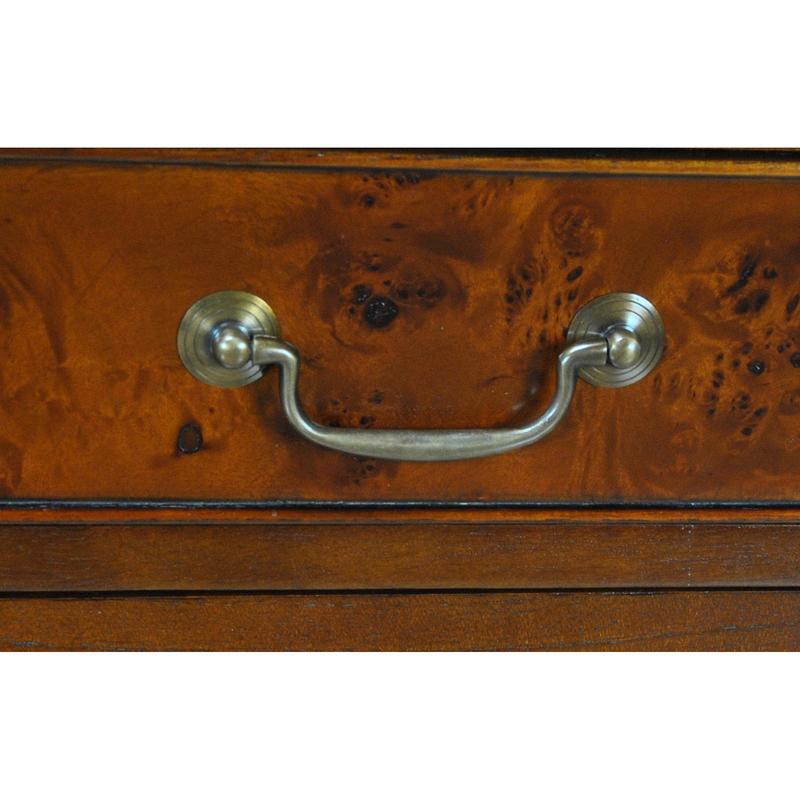 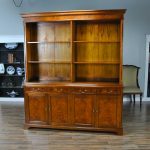 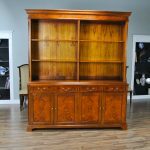 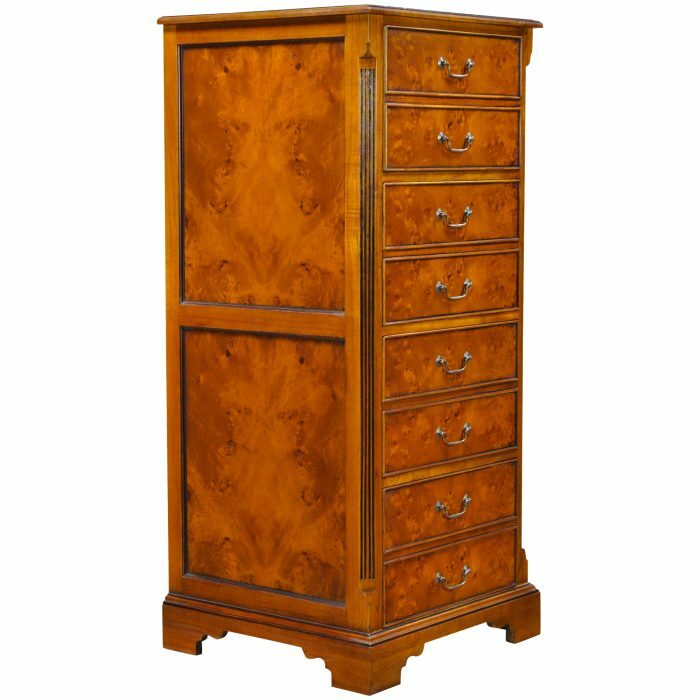 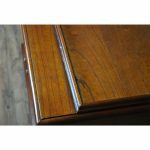 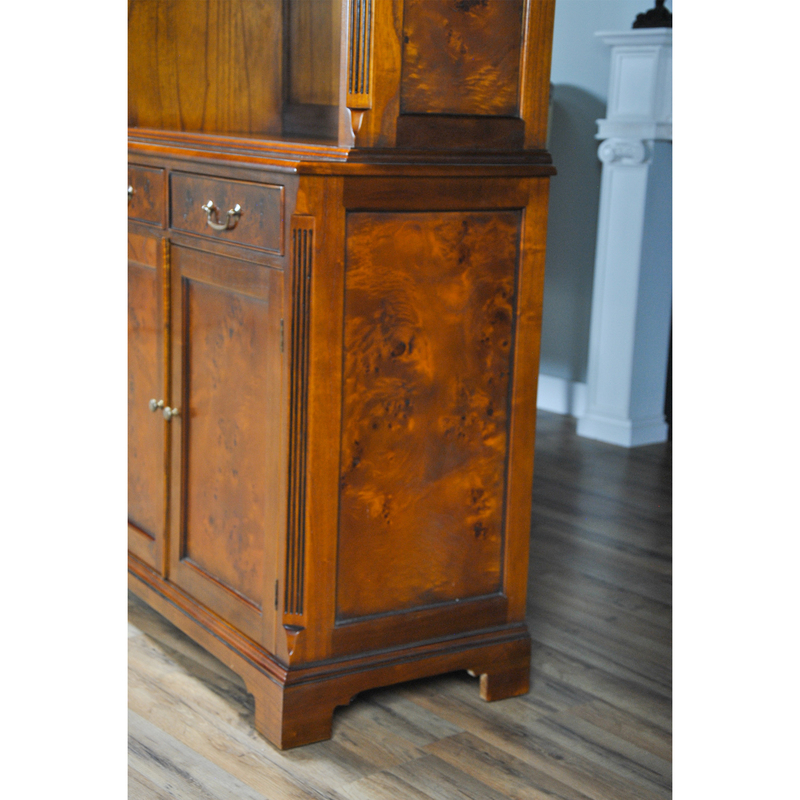 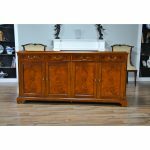 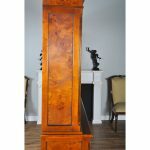 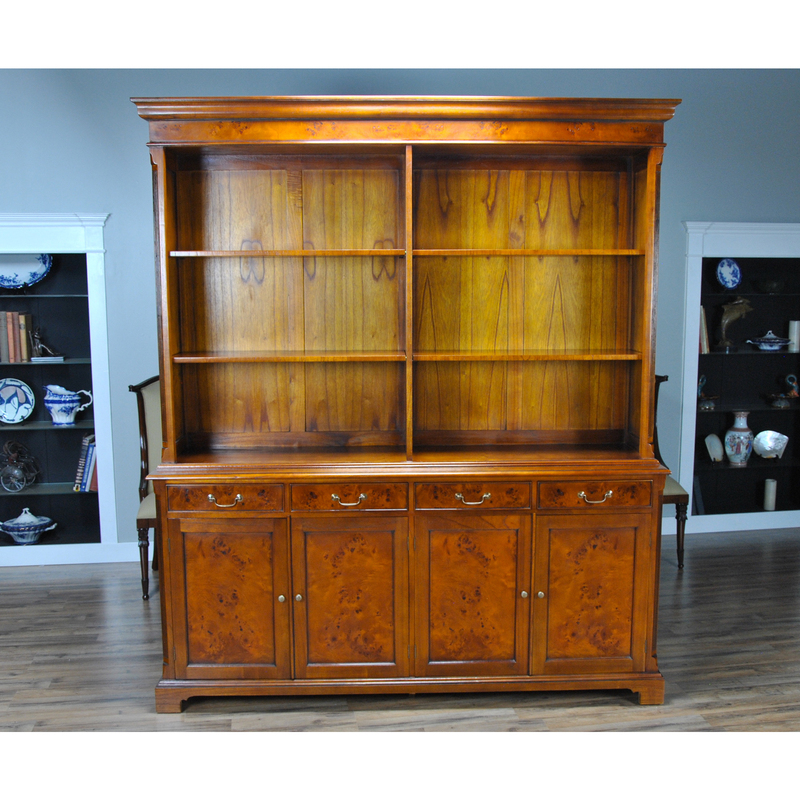 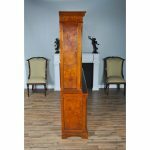 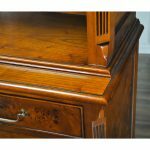 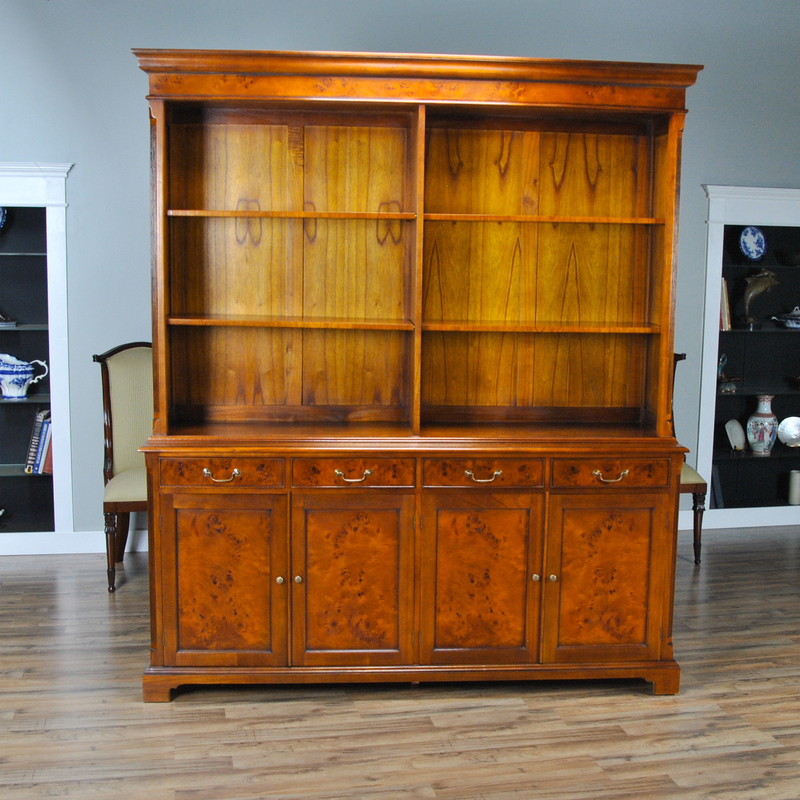 The bottom section of the Country Estate Large Cupboard features four dovetailed drawers over top of four molded cabinet doors each with a wooden shelf and with more reeded columns on the side, all resting on shaped and styled bracket feet. 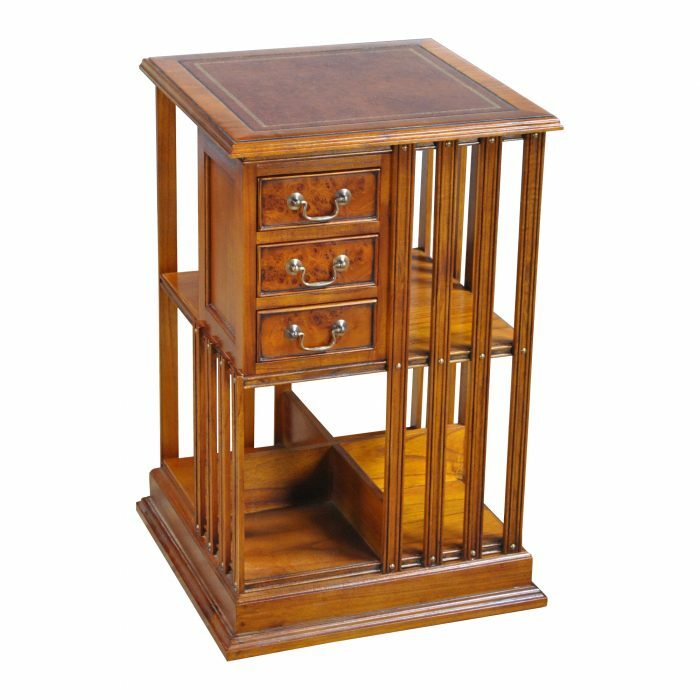 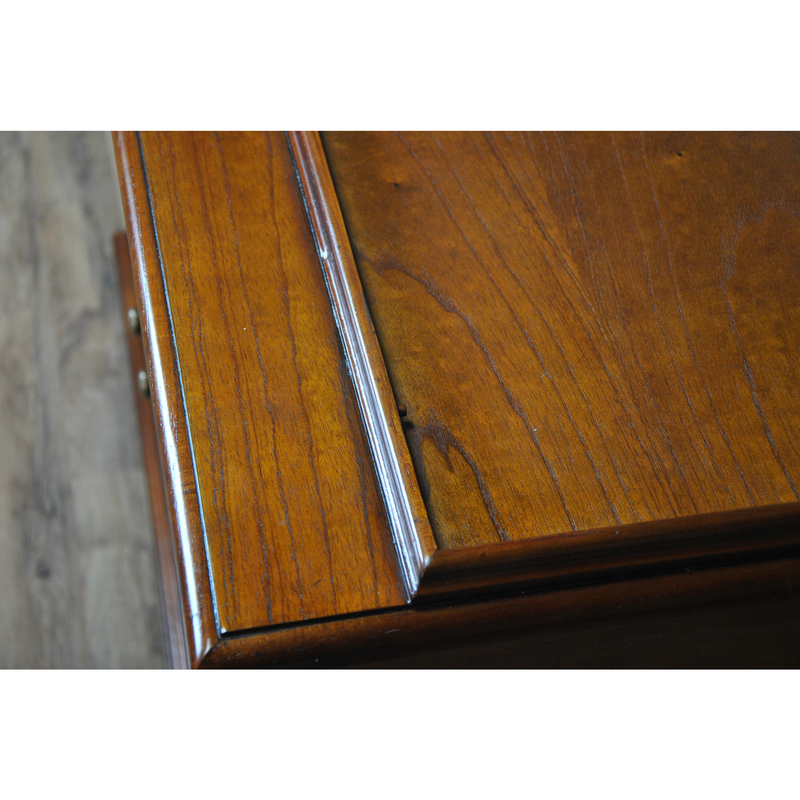 Ideal for use in the dining room, also at home in either an office or living room setting.